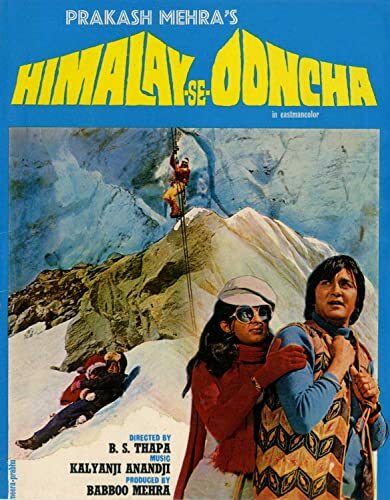 After losing his two younger brothers on a mountain climbing expedition, Vijay (Sunil Dutt) swears to his sorrowing mother (Achala Sachdev) that he will never undertake any expedition again. When he hears of a plane crash deep in the mountains of the Himalays, he initially refuses to even consider going there to look for the survivors, but the tears of a mother, Geeta (Nandita Thakur), whose two children were abroad that plane, moves him and his mother, and he agrees to look for the children, little knowing that others are on the way to the crash site, with different motives.After losing his two younger brothers on a mountain climbing expedition, Vijay (Sunil Dutt) swears to his sorrowing mother (Achala Sachdev) that he will never undertake any expedition again. When he hears of a plane crash deep in the mountains of the Himalays, he initially refuses to even consider going there to look for the survivors, but the tears of a mother, Geeta (Nandita Thakur), whose two children were abroad that plane, moves him and his mother, and he agrees to look for the children, little knowing that others are on the way to the crash site, with different motives.